She’s listed a number of folks’ responses in this post and more in this one. 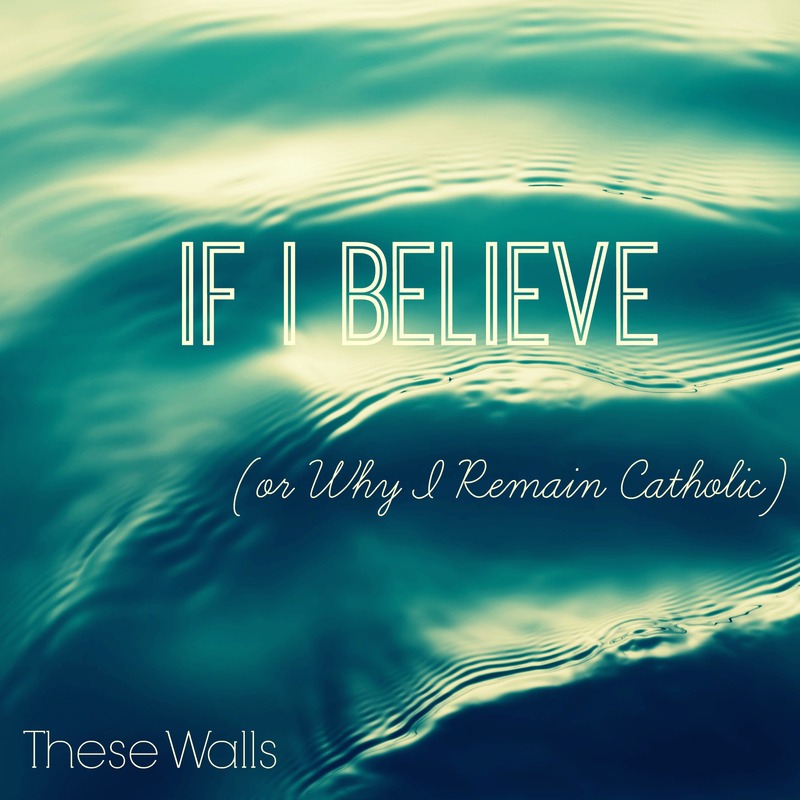 Check them out, or search the hashtag #WhyRemainCatholic to see how other Catholics are responding. I think it’s a terrific question. But it’s not the one that occurred to me as I followed coverage of the Pew report’s release last month. For me, another question arose, prompted by the image of a jam-packed school gymnasium on Easter Sunday. The parish we were attending at the time had an old, lovely, small church. On any given “regular” Sunday, the pews were full and so was the tiny vestibule. But on Easter Sunday, not only did the parish need to add Masses in the church to accommodate the crowds of Catholics who seemed to keep coming, coming, coming out of goodness-knows-where, it also had to add Masses in the parish school’s gymnasium. The day was always carefully choreographed: two Masses were celebrated simultaneously, cars occupied every square inch of the parking lot, and volunteers would usher one group of Mass-goers off the property just in time for another to be ushered on. It was an impressive operation. And I was always grateful for the uptick in numbers that made it necessary. But one Easter I looked around at the crowds and wondered how many more churches we would need to build if these Catholics were to attend Mass regularly. I thought of those still at home, too – those who couldn’t even muster the will to celebrate the most important day of the Church’s calendar. What if all those fallen-away Catholics were to fully “come home”? I was used to looking around at a full church on Sunday mornings. 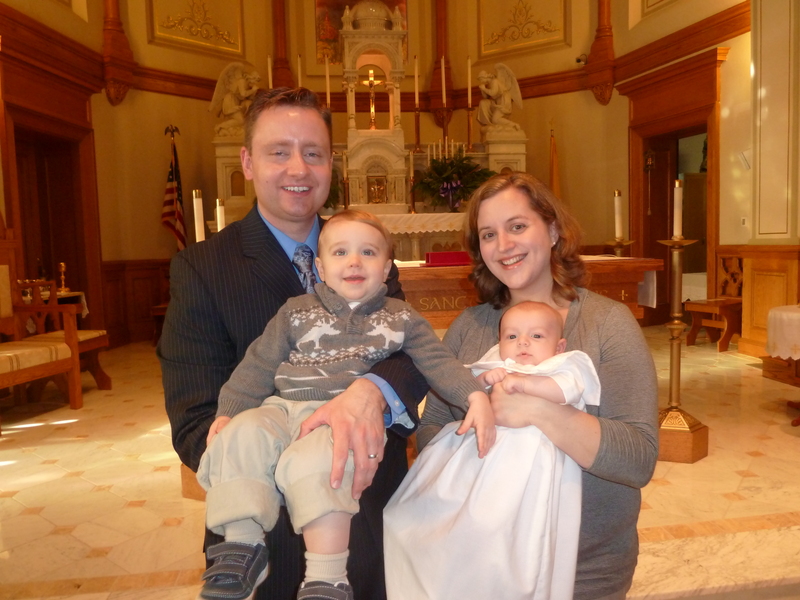 I was used to thinking of the Church as vibrant and diverse and full of young, squealing babies. I was not used to thinking of the churches that had never been built. That image has stuck with me over the years, especially as I’ve thought about loved ones who have drifted – or who seem to be in the process of drifting – away from the Church. When I stop to consider Catholics as I know them, I envision a drop of water falling into a pool: The drop sinks down and splashes back up to create a thick circular ripple, which, over time, spreads out into thinner, gentler, wider ones. At the farthest reaches, they are barely noticeable. I’m much more intimately familiar with (and probably feel more at home with) those of the next ripple: those who are regular Mass-goers, committed members of their parish communities, but not as exact about meeting every obligation or following every teaching. I love so very many in the next, wider, ripple: those who feel attached to the Church and would undoubtedly identify themselves as being part of it, but – whether due to disagreement with the Church or the simple slide of placing priorities elsewhere – find themselves attending Mass more infrequently as time goes on. I also love many in the outermost ripples, which fade into the still water surrounding them: Many, sadly, were only raised Catholic in a nominal sense, often by parents who would drop them off for CCD in the years they were to receive a sacrament, but otherwise offer no instruction in the Faith. Others were once more devout, but have since become disenchanted with the Faith (or with the Church), due to any number of (sometimes frustratingly insignificant, sometimes heartbreakingly valid) reasons. Most seem to no longer feel any connection to the Church. They might consider themselves Catholic because they feel like they should be categorized as something, but others wouldn’t even claim the label. When I saw the results of the Pew survey, I was concerned about the Church’s reported losses. But more than that, I was saddened because I knew that many who identified themselves as Catholic – who would not have shown up as losses on the Pew survey – were likely to be barely hanging on. So many of them are in the outer ripples, so few of them in the inner. If Catholics dropped by three points in the period from 2007 to 2014, how many more would we drop in the next seven years? Honestly, I don’t feel like the Church has much to fear from a rising, alternate system of religious belief that will poach our members if we’re not careful to modernize in x,y,z ways. I think we should fear losing people because they no longer believe. So of those once-Catholics who no longer identify with the Church, half no longer identify with any religion at all. Given the huge jump experienced by the “no religious affiliation” category (or the “nones”) in 2014, I see every reason to expect that this half-share will increase. Of course, the Pew report makes clear that the “nones” aren’t necessarily unbelievers. But the share of nones who are atheist is rising (indeed, the percentage of Americans identifying as atheist nearly doubled in the 2007-2014 period), and I can’t help but wonder whether there’s a long, slow slide from believing in a Faith, to believing in no particular Faith, to maybe believing in something, to not believing at all. Whether a result of stubbornness or habit or some worthier motivation, there is no question of me leaving my Church. The struggle isn’t between staying and leaving – it’s between conviction, caring – and the apathy that could lead me down a long, slow slide to unbelief. I think for most Americans, belief in God is a given. It’s how we understand the world: we’re framed by God and country and society. Our givens float around in the background somewhere, vague and harmless. That’s probably the basis of my own belief, at least – Of course I believe! That’s what people do, right? We say ‘One nation, under God.’ We celebrate Christ’s birth on Christmas and His resurrection on Easter. We pray when people are hurting and we find comfort in the idea that those whom we have loved and lost are enjoying their eternal rest in heaven. It’s just what we do. If we’re Catholic, our givens might also include Mass every Sunday (or every Sunday that’s convenient), an acknowledgement that the Eucharist is special, a fondness for Mary, and a tendency to rely on a certain few saints (especially St. Anthony when we’ve lost something or St. Joseph when we’re trying to sell a home). But do we delve further? Do we function entirely In This World, heavy emphasis on country and society and work and busy schedules and family obligations and sports and music and, and, and? Are we content to let God float there in the background, ready to be pulled out when we face a crisis? Or do we stop to think about it? About Him? Do we stop to ask ourselves whether we really, truly, actually believe? If we do ask, and if we indeed find that we really, truly, actually believe – then what? How does our belief impact our lives? Those are the questions that stop me cold. They scare me a little. If I strip away those givens, those expectations of general, vague, publicly-accepted belief, what do I have left? I can’t tell you how I came by it (I can only assume it was a gift from God), but I have found a firm conviction lying underneath that surface. I’m grateful for it, because if I were only to rely on the feeling of faith to assure me that my belief is real, I would undoubtedly sometimes think I had none at all. Sometimes the feeling comes, strong and warm, and other times it fades to nothing. But I do find that conviction. I believe that God exists. I believe that He made the heavens and the earth and little ol’ me to boot. I believe that He sent his only, much-beloved Son to earth to save us from our sins. I believe that Christ suffered horribly so that we – you and me and that person who cut us off in traffic – might one day enjoy eternal life. I believe that Christ instituted His Church here on earth and that he intended it to always remain One. I believe that humans have free will, which means that we’re just as free to do evil as we are to do good. I believe that our highest calling in life is to choose the good and the right, over and over again until we have united our will to God’s, which is goodness itself. So if I believe, then what? If I believe that God created the heavens and the earth and me and my family too, then the least I can do to thank Him is to show up for Mass every Sunday. And say Grace Before Meals. And strive to develop a decent prayer life. If I believe that God sent his only Son to save us from our sins and that Christ died a horrible death so we might live, then I need to take responsibility for my sins too. I have to work on my faults. I have to ask for forgiveness. I have to forgive those who hurt me. If I believe that Christ instituted His Church here on earth, then I have to follow its teachings. Even when they’re inconvenient or unpopular – even when they make me strange to those around me. I have to do my part to build up the Church – even when it seems unpopular and strange, too. If I believe that humans have free will and that we are called to choose the good and the right, then I must strive to do just that. Again and again, over and over, ad infinitum. And I have to – in whatever small ways I can – encourage others to do the same. At the end of our final day, however far away that is, what will we find when we strip away those things Of This World? Will we still cling to country and society and work and busy schedules and family obligations and sports and music and, and, and? Will we grasp at the God we’ve been content to let float in the background? Or will we not need to grasp, because we’ll know that He’s been right there beside us the whole time? Will we have lived our lives in such a way that the living has enabled us to return to him as to a dear, old friend? That’s what I want. For myself, for my family, for all those Catholics who inhabit the wider, gentler ripples – and for you too. So there is no question of me ever leaving my Church. There’s just me deciding, over and over again, to live my life as if I believe. Because when I strip away the givens and the expectations and the trappings – I do. Julie, This is a beautiful piece of writing! “There is just me, deciding over and over again to live my life as if I believe.” I’m going to keep that sentence close to my heart. Thank you for sharing! Thank you, Abigail! I’m glad you found something in it that resonated with you. I think one thing that’s happening is that Christianity in general is becoming less culturally “normal”. The result is that people who in former times would stay and be active in the Church for cultural reasons, but without genuine faith, no longer have any incentive to do so. Instead they just drop out. This is largely due to the fact that the Church no longer offers anything that is really culturally distinctive. Now you can be openly gay and go to Mass, you can be divorced and remarried and still receive Communion – the vast majority of people receive Communion regardless of whether they’re in a state of mortal sin. They do it thoughtlessly, as a matter of habit, without any examination of conscience to see whether they’re worthy. And the bishops and clergy largely acquiesce in this state of affairs. So in other words, you no longer have to be different from the surrounding culture to be a practicing Catholic. But if the culture within the Church is the same as the culture without, if the Church doesn’t require you to be different, then why do you need church? I think Pope Benedict was right when he predicted that the Church would become smaller but purer. The reason is that those who stick with the Church will be those who are truly committed to her. The ones who lack commitment will no longer see the point in it.